Did you spot all the references to the Twilight Saga book covers? 1. 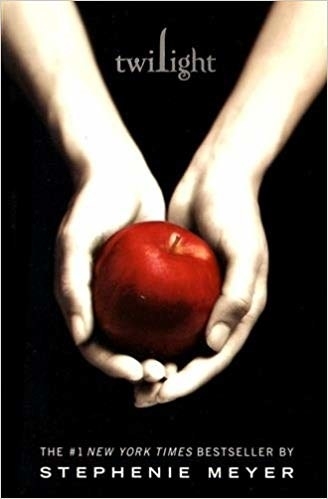 First, one of the more iconic details in the films, when Bella drops an apple in the cafeteria in Twilight, Edward holds it in the same position as the Twilight book cover. 2. 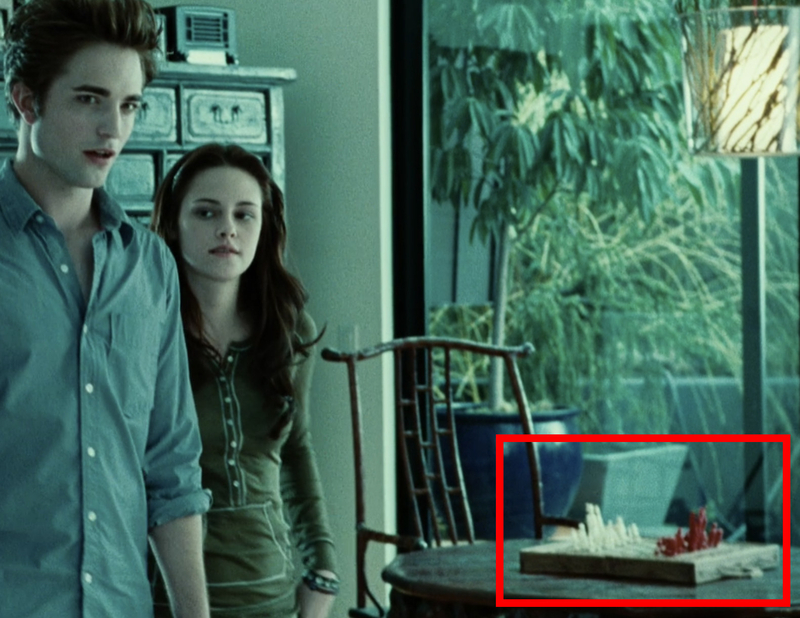 When Bella goes to the Cullens' house for the first time in Twilight, you can spot a chessboard with red and white pieces on the kitchen table — this is a nod to the Breaking Dawn book cover. 3. 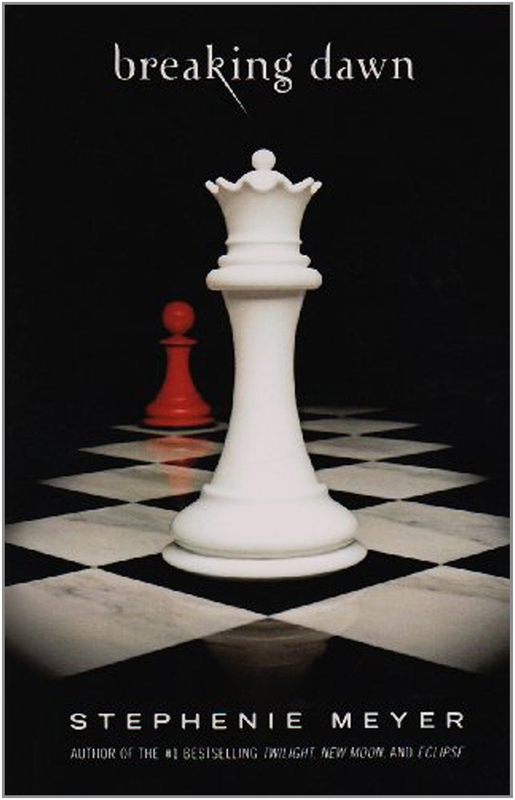 The red and white pieces appear again in Breaking Dawn – Part 1 when Bella and Edward play a game of chess while on their honeymoon. 4. 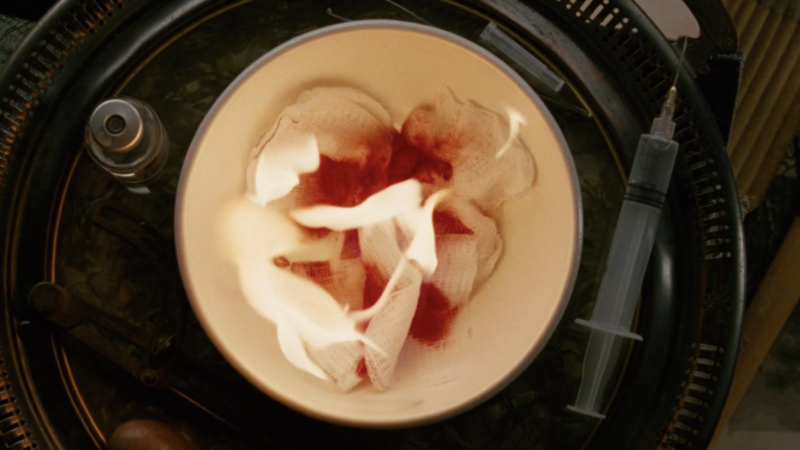 When Carlisle stitches up Bella in New Moon, he throws the bloodied bandages in a bowl and burns them — the image is meant to look like the flower on the New Moon book cover. 5. 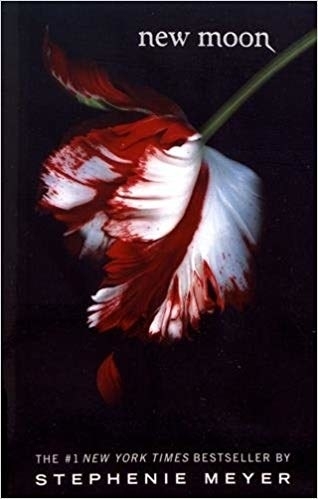 In Twilight, Bella reads page 135 in the book she buys about vampires — in the Twilight book on page 135, Bella learns about vampires for the first time. 6. Author Stephenie Meyer makes an appearance in Twilight — she's seen sitting at the counter in the diner. 7. Stephenie appears again alongside screenwriter Melissa Rosenberg, co-producer Bill Bannerman, and producer Wyck Godfrey at Bella and Edward's wedding in Breaking Dawn – Part 1. 8. In New Moon, when Bella is sitting at the window for months after Edward breaks up with her, you can see that the pictures of her friends and Edward slowly disappear. 9. In Twilight, when Bella is in the hospital, the scene in the ballet studio is playing on the TV behind her mom. 10. A baseball is seen on a bookshelf at the Cullens' house in Breaking Dawn – Part 2 — this is a nod to the game of baseball they play in the first film. 11. In Twilight, Mike's letterman jacket is actually from the real Forks High School in Washington. 12. In Eclipse, Bella retrieves a note from her drawer that's from Jacob. Just like in the novel, you can see that lines of text are crossed out instead of erased. 13. Victoria can be seen in the crowd at the prom in Twilight — this is before it's revealed that she's there at the end of the film. 14. When Charlie comes to deliver Bella's birthday gift in New Moon, you can see behind-the-scenes photos of the cast, but there's also movie stills of Bella and Edward from Twilight. 15. In Eclipse, the articles that appear on the front page of Charlie's newspaper are written by Jeremy Stanbridge and Lauren Geaghan, who worked in the art department on the film. 16. In Twilight, when Edward is pretending to sleep in Bella's hospital room, you can spot a ballet studio painting that looks similar to Alice's drawing hanging above him. 17. The quilt that Renee gives to Bella in Eclipse can be seen again when Bella is pregnant in Breaking Dawn – Part 1. 18. When Charlie drives Bella through Forks for the first time in Twilight, the log truck that passes them actually doesn't have a driver. 19. And finally, in New Moon, when Edward visits the Volturi, "Vita brevis, ars longa" is written in Latin above them, which translates to, "Life is short, art is long."